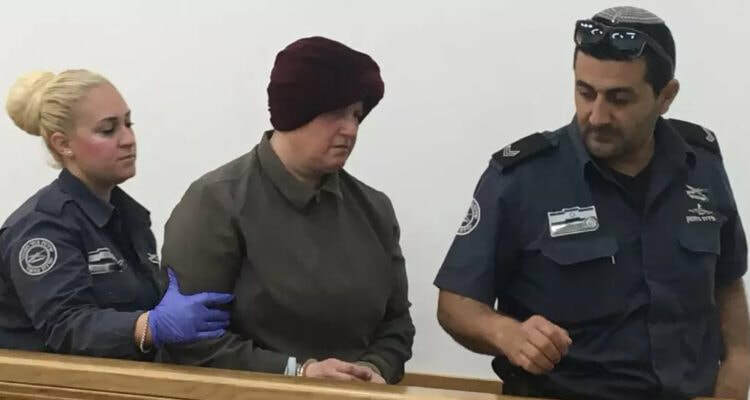 ​Accused child abuser Malka Leifer will undergo another psychiatric evaluation from behind bars after a Jerusalem District Court judge requested her mental state be reassessed once again. The court is trying to determine whether Leifer is fit to undergo extradition proceedings. Leifer did not attend Wednesday’s hearing despite being present at the Jerusalem court, after her lawyer Yehuda Fried claimed she was feeling unwell. ​She will return to court on May 31 to hear the outcome of the new assessment from a district psychiatrist, as well as a review of the evidence presented against her. The 54-year-old is accused of 74 counts of sexual abuse during her time as principal of the ultra-Orthodox Adass Jewish girls' school in Melbourne over a decade ago. She fled to Israel after allegations were first raised and was living in a settlement in the occupied West Bank before her re-arrest on February 12, after Israeli police accused her of feigning mental illness in order to avoid extradition to Australia. Her defence lawyer, Yehuda Fried, successfully argued Leifer’s mental state be re-evaluated by the district psychiatrist, claiming she is suffering behind bars in Israel’s sole women’s prison, Neve Tirza, and is being treated as a patient there by the prison psychiatrist. “Ms Leifer continues to be prescribed the same anti-psychotic pills she has been receiving since 2014,” when an Israeli judge ruled her to be too unwell to stand trial. But the prosecution says this is just another way to extend extradition proceedings. Speaking outside the courtroom, Israeli state attorney Matan Akiva said the chief district psychiatrist himself has already stated that Leifer is capable of standing trial, despite the fact that she has continued to be prescribed anti-psychotic medication. “It is hard to know what to expect after a district psychiatrist representative goes to jail to assess her – I hope they will come to the logical decision of appointing the same psychiatrist that is already familiar with her case, but we don’t know what will happen,” Akiva told journalists. Manny Waks, an Israeli-Australian rights advocate who attended Wednesday's hearing, also accused the defence of stalling tactics. Several of Leifer’s family members were present at Wednesday’s hearing, including her brother and sister, who were clutching religious prayer talismans as well as medical forms the defence says proves she is still on anti-psychotic medication. A representative from the Australian embassy was also in attendance. Judge Hannah Lomp ordered that all evidence relevant to the extradition proceedings be handed over to the defence by May 23. A second, criminal proceeding is simultaneously underway to determine whether or not Leifer lied to court about her psychological state to dodge extradition. No date has yet been set for the domestic hearing.